What is 214(b) visa refusal mean? Now, you can get a direct and clear answer from this booklet from the US Embassy. 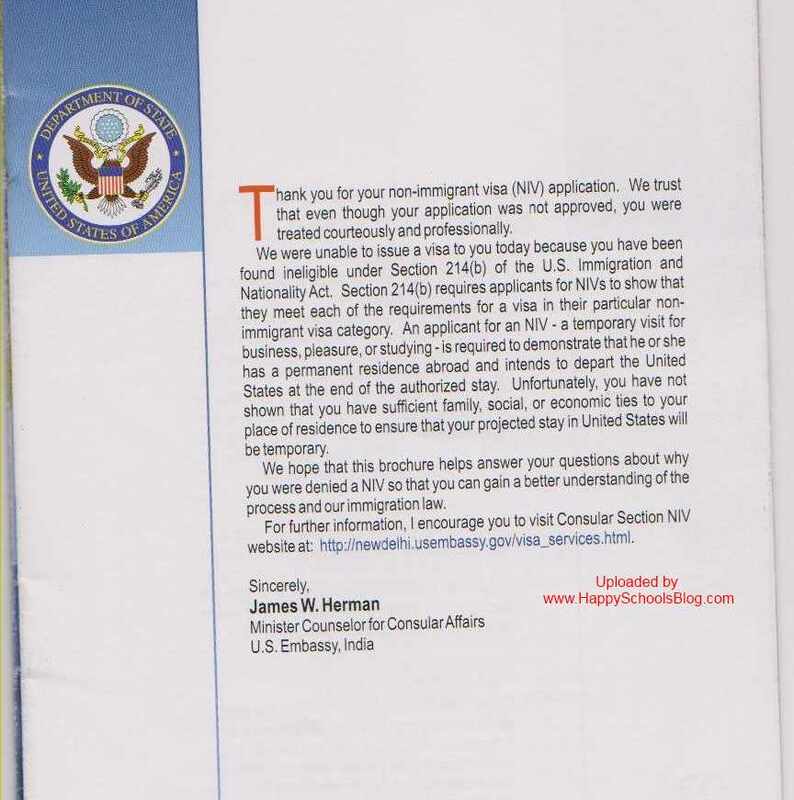 Attached pages give the reason for F1 Visa Rejection by 214(b) and what you can do to fix the problems before you go for F1 Visa interview again. Also, there are 11 FAQ’s that gives additional insights into the Visa interview process. Visa Refusal by 214(b) refers to lack of strong ties to the country (aka Potential Immigrant). Questions in Page 2 and 3 gives very good insights into the Student F1 Visa interview process. You must read and analyze how each question applies to your case. What are “ties to India”? I completed all the documents, but my application was turned down anyway. Why? I’m a student with I-20, but my application was turned down. Why? Do letter of guarantee of return from a person of high-status help get a visa? Will it help my application if I present a letter from my relatives U.S. Congressman or Senator? Why are the visa interviews so short? I was asked a couple of questions. Isn’t it better not to disclose that I have close relatives living in the US that I have an immigrant visa petition on file or that I have been previously been denied? What happens if I conceal or misrepresent information or submit fraudulent documents? Is it possible to get my application fee refunded if my visa is refused? Must one pay another application fee to reapply? Read the answer to Question #9. Here are three visa interviews, where F1 students have issued the visa and later canceled. And if the visa applicant is caught with fraudulent document, they wouldn’t reject with 214(b). Refer to the following links to learn more about the rejection category. If you got caught lying, you could be banned permanently from entering the USA. So, think before you act. I got rejected and stated reason as potential immigrant. I’ve reapplied, please guide me to get through it. I have got a ding for ms from umbc. Please guide me here as well.